Carolyn Latanision, a Winchester, Massachusetts resident, works primarily in water media, exploring its unique challenges and possibilities. She achieves an open, lively technique whether painting cityscapes or people, savoring rich dark textures, light, shadow, form, and the human spirit. 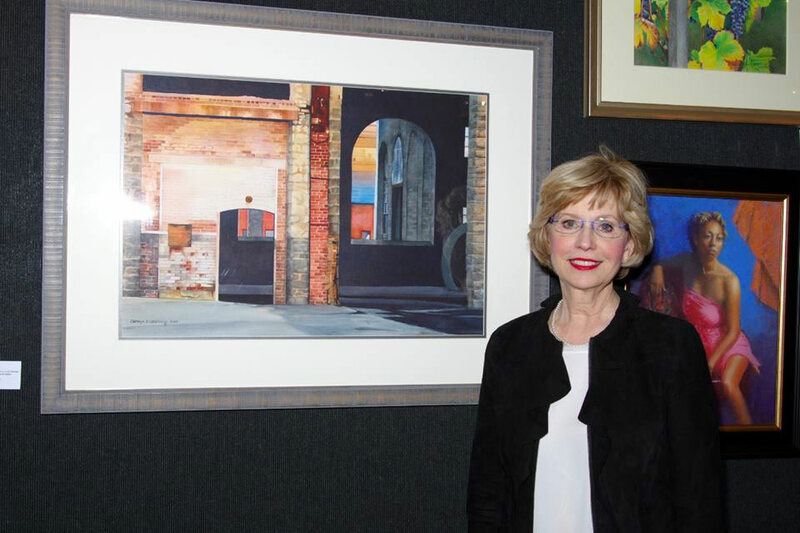 A native of Bethlehem, PA, she has been building a series of paintings of the now closed Bethlehem Steel Corporation plant in Bethlehem, PA. 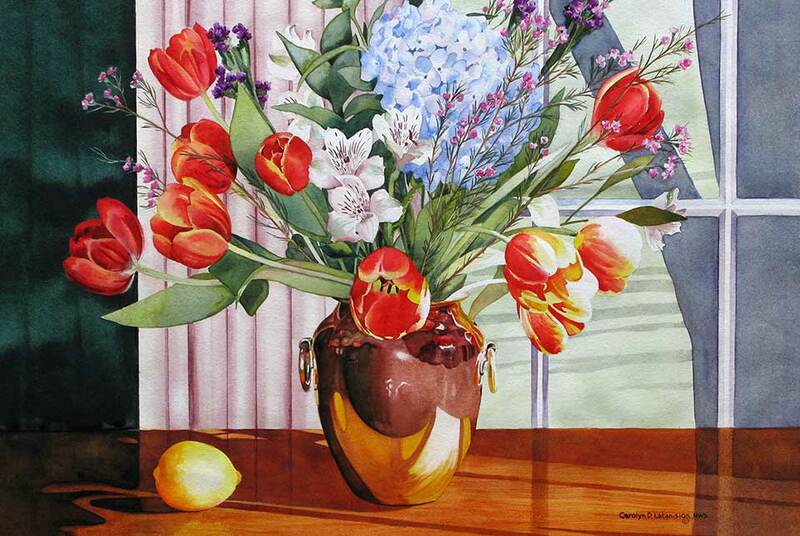 Her paintings have achieved national and international recognition and sales. Carolyn Latanision is a New England based artist. 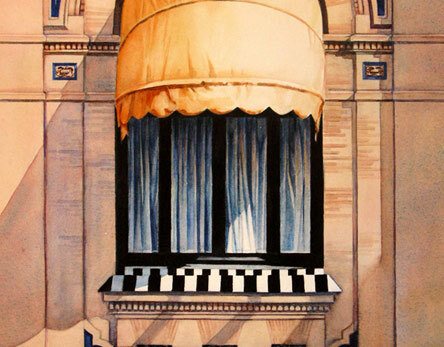 Her representational and contemporary realism paintings feature figures, urban scenes, landscapes and gardens. 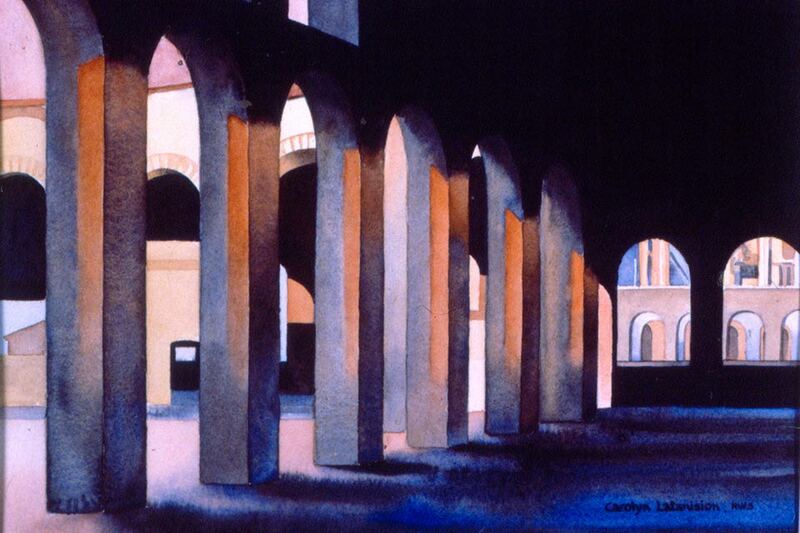 Original art and prints by Carolyn Latanision, nationally recognized watercolor artist and teacher. Browse through her online gallery. 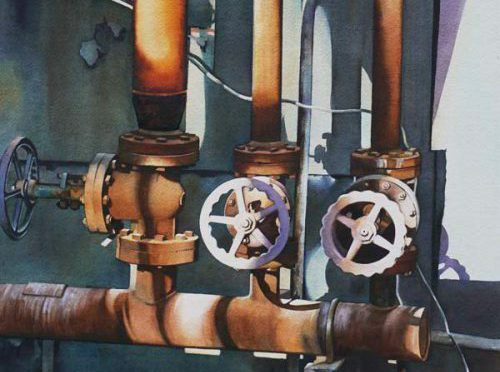 Entangled safety valves, check valves, steam traps, tubes, popes, nuts and bolts provide a perfect setting for creating a very fascinating design. The interlocking shapes, shadow contours, positive and negative shapes, contrasting values and dramatic light patterns reveal a strong sensitivity for what constitutes a strong and sound design. 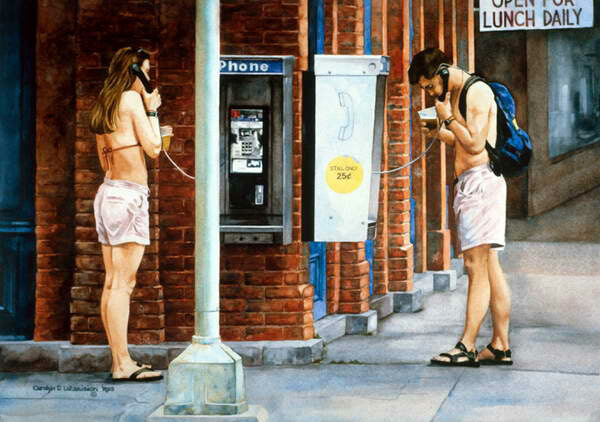 Carolyn Latanision’s watercolor of a young woman and a young man speaking on separate outdoor pay phones was called “Dueling Phones.” But it just as easily could have been entitled “Adam and Eve,” given their scanty summer outfits and the archetypal quality with which the artist endowed their youthful bodies. 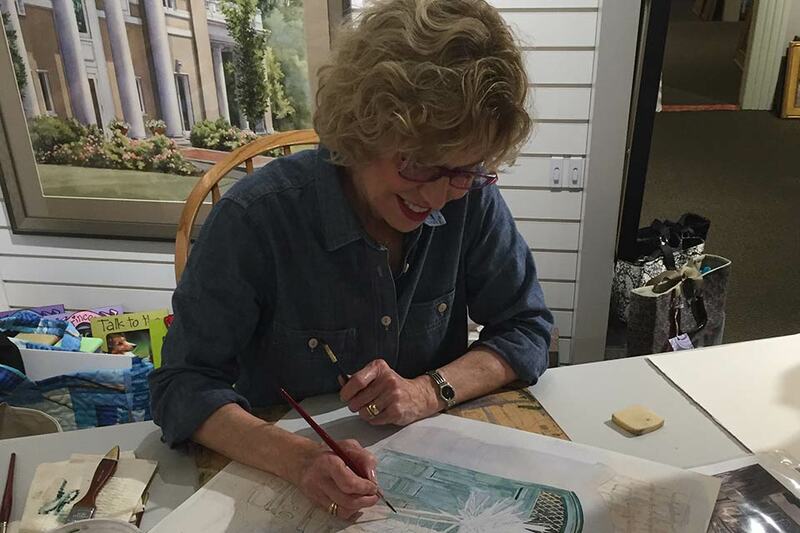 Carolyn teaches adult watercolor classes at her studio and gallery. Emphasis is on technique, composition, value, and use of color while building a strong and personal creative approach regardless of subject. A calendar of Carolyn’s events, exhibitions, and awards.